The Pyramex V2G Specialty Safety Glasses features H2X Anti-fog Lens Technology, which blocks out fog, mist, sweat and steam. They also feature vented lens and frame to increase air flow. For more information, please call us on 07 3265 2944 or send us a message through our Contact page. The Pyramex V2G protective eyewear features H2X Anti-fog Lens Technology, which blocks out fog, mist, sweat and steam. They also feature vented lens and frame to increase air flow. The Pyramex V2G Specialty Safety Eyewear features H2X Anti-fog Lens Technology, which blocks out fog, mist, sweat and steam. They also feature vented lens and frame to increase air flow. 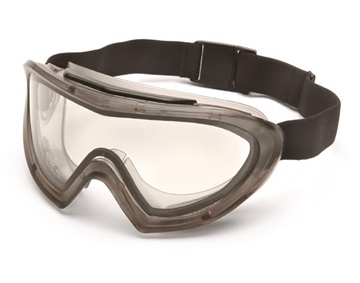 The Pyramex Capstone Safety Goggles 500 Series features dual lens ensuring ultimate anti-fog performance and is ideal for use over long periods of time.